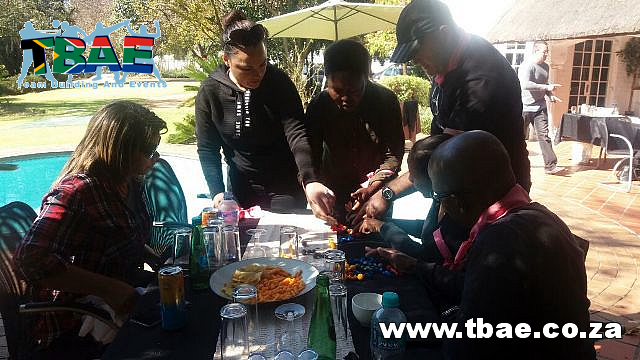 FNB Corporate Fun Day team building event at The Amazing Place in Sandton, Johannesburg facilitated and coordinated by TBAE. 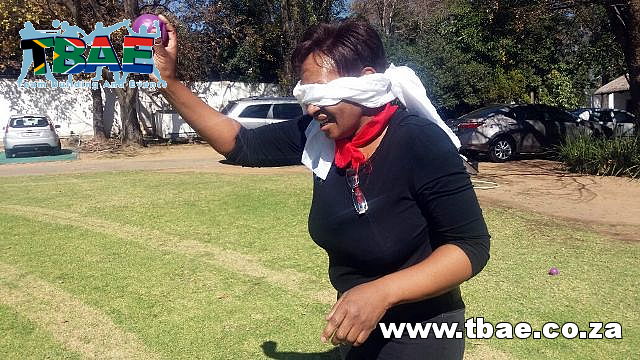 Click on the thumbnails to view bigger photos. 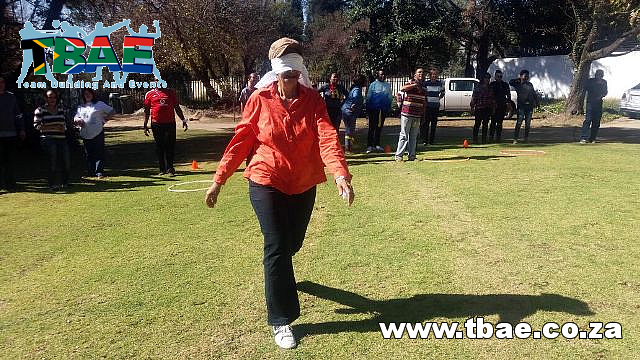 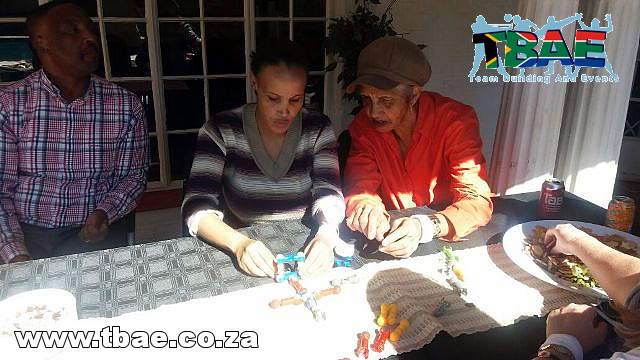 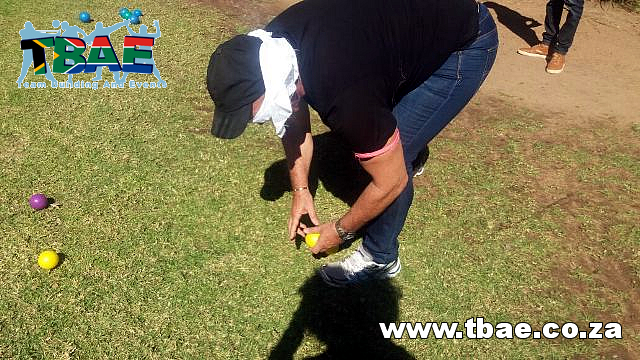 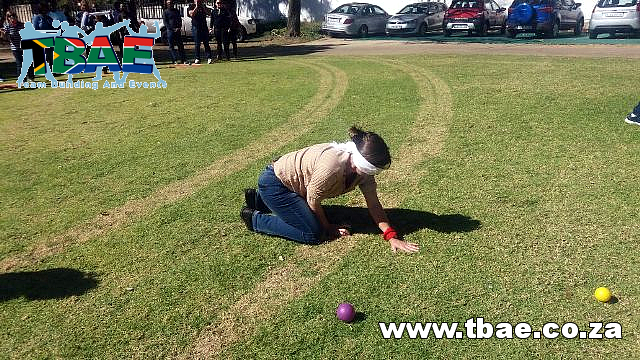 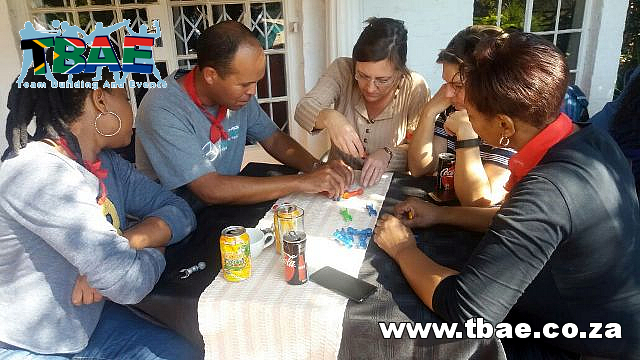 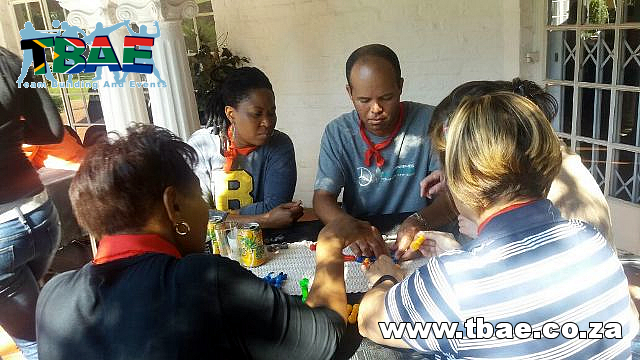 This Corporate Fun Day event was facilitated by TBAE for FNB which provides personal, private, business, commercial and corporate banking services to millions of customers across South Africa. 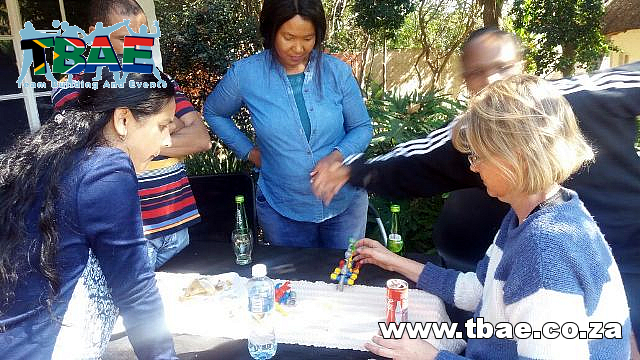 As part of the FirstRand Group and as one of the top three banks in the country, FNB measures success not only by the growth in our profits but also by the contribution they make towards our community's growth. 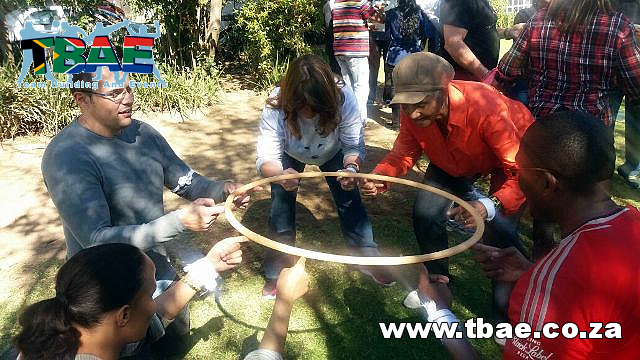 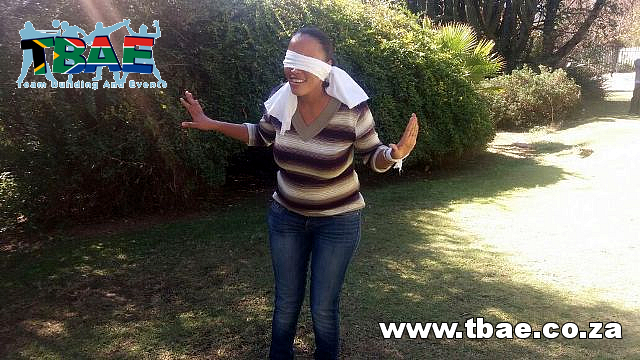 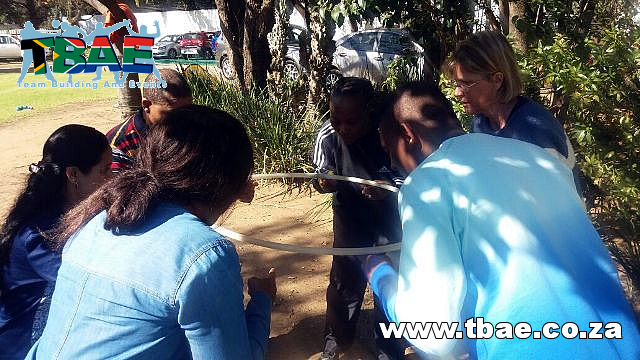 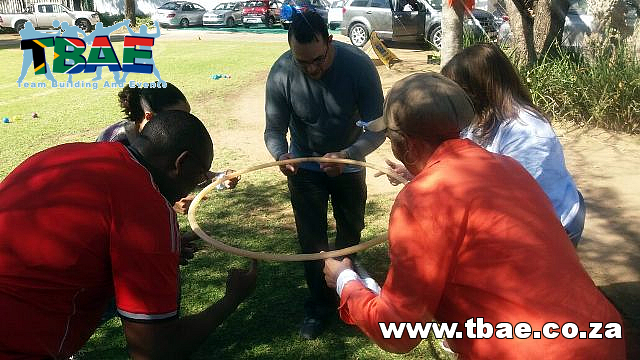 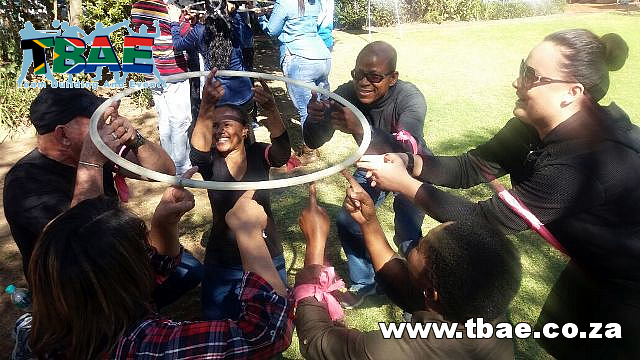 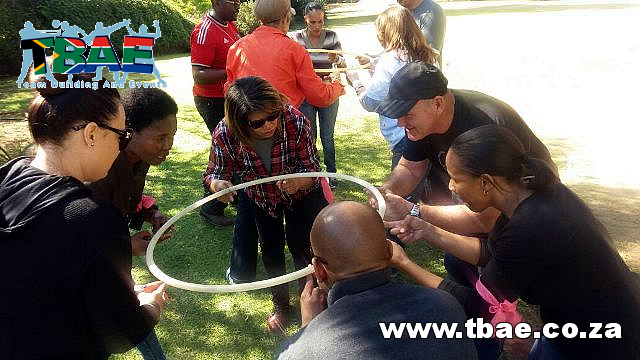 TBAE’s Corporate Fun Day team building activity is a versatile event that can easily be customized to suit your team and the occasion. 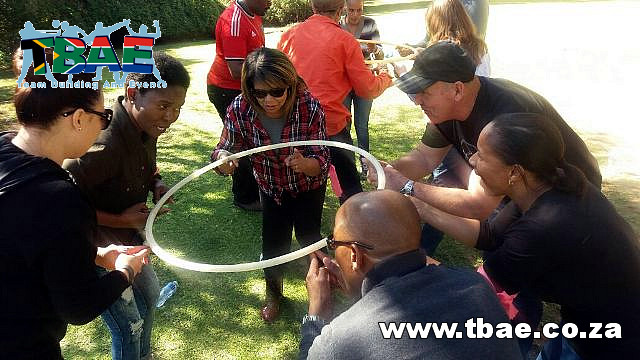 In this activity, teams compete against each other in a combination of some of our most popular team building exercises. 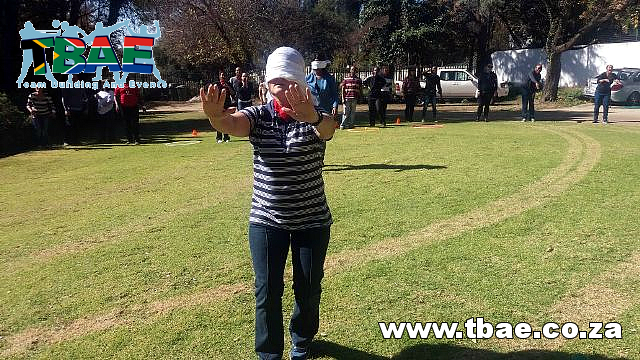 The exercises are highly interactive and offers active spectator participation. 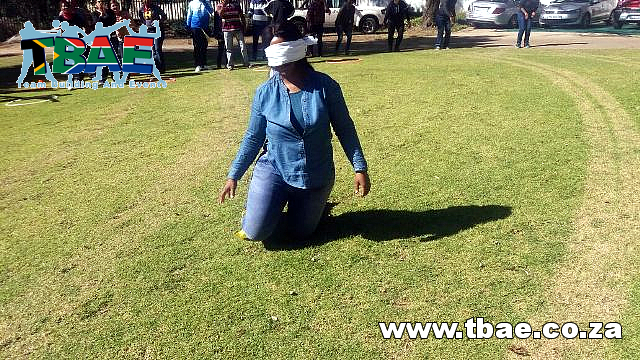 Blindfold Collection, Hula Hoop Down, Minefield and Model Replication were some of the activities used for this event. 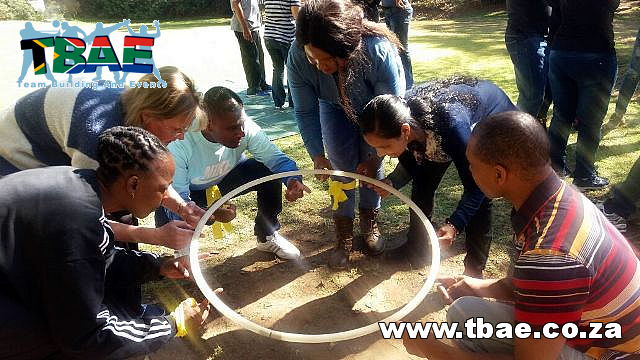 The Amazing Place has excellent facilities for a wide variety of team building activities. 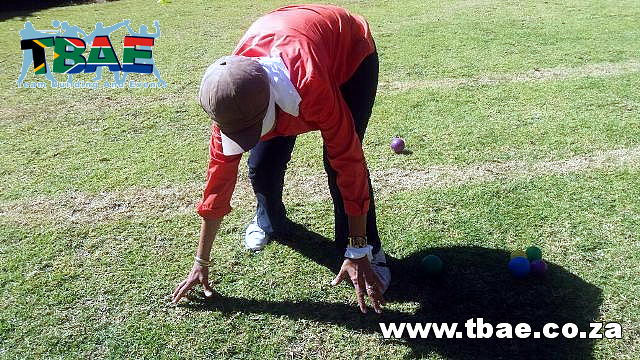 The activities are facilitated on lush green lawns among beautiful gardens. 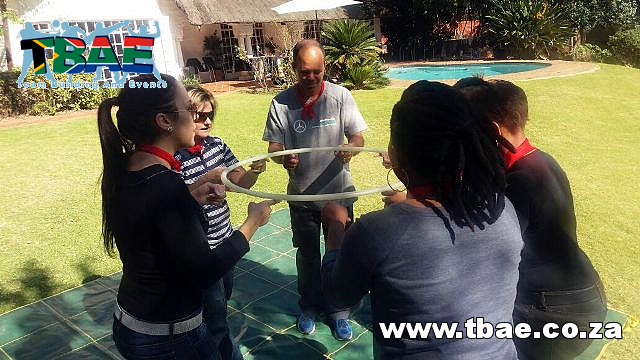 The venue is suitable for a variety of outdoor team building activities including Tribal Survivor Challenge, SA Mini Olympics, Corporate Fun Day, Boeresport, Sports Day and Hitting the Target. 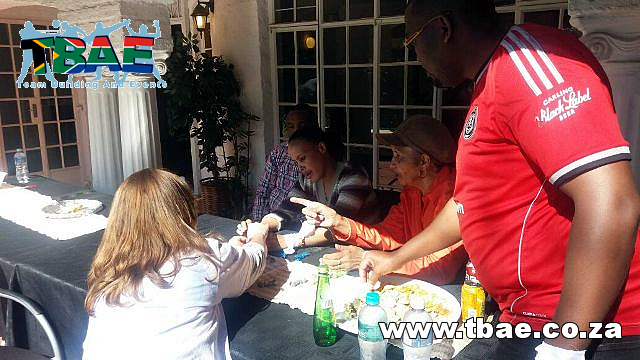 www.theamazingplace.co.za. 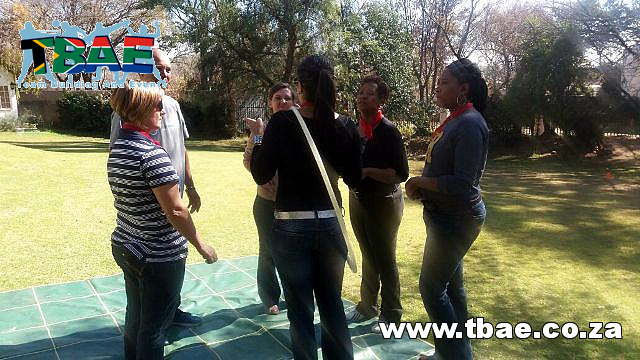 Below are some of the photos of the team building exercises before the cooking got underway.